[/caption]Not everyone on this planet is in agreement as with regards to the total number of continents. So how many continents are there then, according to the disagreeing parties? Well, in Russia, Eastern Europe and Japan, the people there consider the continents of Europe and Asia as one, known as Eurasia. In other places in the world, North and South America are combined as one American continent while separating Europe and Asia instead. Thus, according to these two views, there should only be 6 continents. There are even geographical views that prefer the presence of both a Eurasian as well as one American continent. These geographers therefore contend that there should only be 5 continents. And if you thought that would be the lowest number, think again. There are others still who are more comfortable with a 4-continent view. These people argue that, since Europe and Asia are actually part of one great land mass and that Asia and Africa are actually joined by an isthmus (Isthmus of Suez), as are the two Americas (being joined by the Isthmus of Panama), then there should be an Afro-Eurasian continent in addition to one American continent, Antarctica, and Australia. But how many continents are there according to the more widely accepted view? In the most widely accepted view, there are 7 continents all in all: Asia, Africa, Europe, North America, South America, Antarctica, and Australia. This model is preferred by the Chinese and majority of the English-speaking countries. The final verdict as to how many continents are there might lean more on the larger numbers once the effects of global warming kick in. Once sea water levels rise, the separation between the two Americas as well as that between Africa and Asia will be more noticeable. Only the combined Europe and Asia model (a.k.a. 6-continent model) and the 7-continent model would remain. Hundreds of millions of years from now, we really don’t know how many continents there would be. 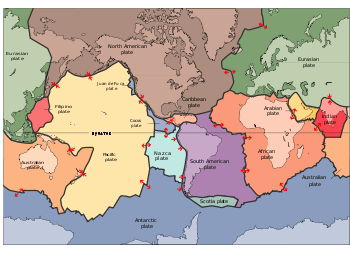 According to the continental drift theory, moving tectonic plates may rearrange the pieces of the puzzle that are the Earth’s continents. What used to be one super continent, known as Pangaea has now been broken into 4, 5, 6, or 7 continents – depending on which side you’re more comfortable with. Therefore, its plausible, the Earth being round and all, that some of these continents will later on combine after drifting away for some time.